The nice thing about an 87 page PDF is that it is full of a LOT of teacher support materials. The difficult thing about an 87 page PDF is that can be hard to figure out how you're going to incorporate all of the possible choices into a cohesive novel study. 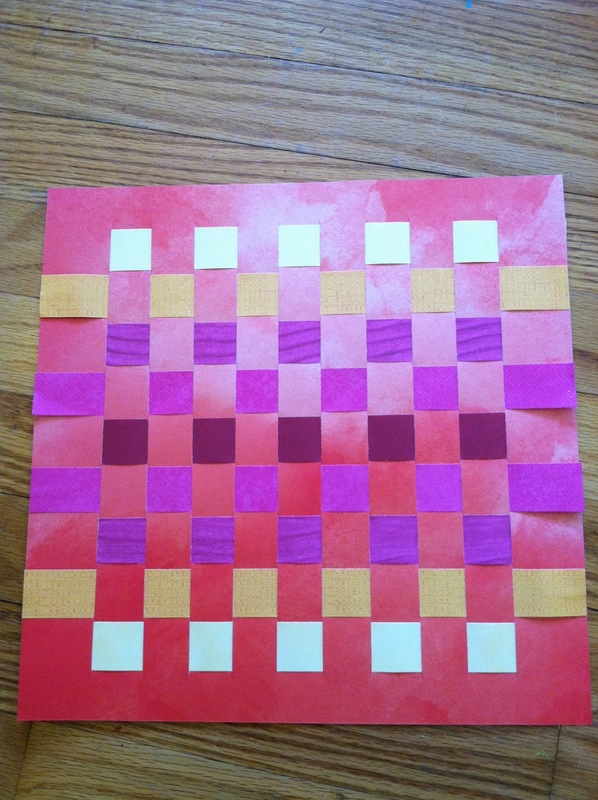 When I buy traditional materials from Teachers Pay Teachers (to help my 7th and 8th grade students transition smoothly into public school), I always find that I need to do an accompanying blog post. It's what helps me think everything through and, ultimately, decide on the organization and pacing for these huge documents! Lord of the Flies. Pride and Prejudice. And, now, Holes by Louis Sachar. I am considering having the class watch this movie after we finish the book. I don't usually show movies to my class, but I think this one was done really well! And, because it is rated PG, the whole homeschool group could watch it. So I'm thinking that we will have a Pajama Day on Friday, March 30th. Working backwards from that target day, I have to figure out how it all will flow. First things first, the organization of the document I bought from TpT. I can use the computer if needed for the answer key, which is pp. 38-41.
p.62 - what are they thinking? I think I will also use this Holes Anticipation Guide (last slide of the PPT) for pre-reading. And I like the following Essay Questions for assessment: #1, 4, 5, 8, and 9. My students need to practice writing short essay responses. Before tomorrow's session of Philosophy Club, I want to take a quick second and write about last week's. I introduced our first philosopher for Happiness, Epicurus. Epicurus was born in 341 B.C.E. but students (and adults) can still easily relate to his teachings! The day before this lesson I read my class The Table Where Rich People Sit for our Virtue of the Week, Forgiveness. Byrd Baylor and Peter Parnell make a powerful combination and I knew that some of their books would also be a beautiful tie-in for Happiness, especially the idea of Simplicity which our two philosophers (Epicurus and Charlotte Joko Beck) both speak about. By the way, I find it interesting that this book, which is about the difference between poverty and deliberately choosing a simple life in line with one's values, is placed by the folks at Amazon into the "Growing Up & Facts of Life" category. I looked on my shelf for other books by the Baylor/Parnell team and decided on I'm in Charge of Celebrations. I began our Philosophy session by reading the group this book. Then I asked the students to get out their Philosophy journals and told them to, without talking to one another, "list some simple things that you celebrate, some simple things that you stop and notice that you think no one else does." After some time to write, I asked for volunteers to share. One teenage boy shared this sweet reflection: "Cats. When times are really bad you have a cat... It's awesome... It's just nice to have cats around because they sleep on your lap for a very long time and then they play with your feet." One of the nice things about the rules in Philosophy is that no one is allowed to interrupt you (even the teacher) and you get to decide when you're done talking and you get to call on the next person, choosing between the people who have their hand up (even the teacher). In Philosophy, it can take a while to get out what you have to say, and it's really important that you be given enough time. Another response which tickled me -- and which I bet teachers in the public school rarely hear -- was "I feel school is a time to celebrate learning and freedom." One little girl talked about her birthday and explained to us, "My birthday is a big part of my family." She shared memory after memory of how her family made her feel special. I shared that I have three family members living who are in their 90's. Often I forget (I'm ashamed to say this but was honest with my students about it) about my great-uncle Ed (born in 1919, he just turned 99), my Grammy (born in 1920, she just turned 98), and my Granddaddy (born in 1922, he is 95 and will turn 96 in July). Because one of my daughters had to do a report on the Jazz Age in general and Charles Lindbergh in particular, we suddenly began to talk about all of the people who we knew... who we could call... and ask about the 1920's. People who remembered Lindbergh's flight and the Charleston and when pole sitting was a fad. It was a celebration of our family! All we talked about and all we thought about was how lucky we were to be able to talk to all of these people who were there. We were so excited to call them. My Granddaddy even remembered the precise name of the kidnapper of Charles Lindbergh's baby! My uncle Ed talked about being at a dance hall with the Tommy Dorsey Band at one end of the hall and the Glenn Miller Band (still unknown) at the other. Can you imagine such a thing?! It was nice to stop and really appreciate something that I tend to take for granted, which is the longevity of the folks in my family. Marietta McCarty talks in her book about how important it is that you share, from your life, from your heart, things which are authentic. These are often the things your class will remember more than anything else that happens in the lesson. It is as if they are learning you more than they are learning anything else. And when you are fully present that means a great deal to the children. Rudolf Steiner talks about this too in many places in his work. Next we turned to a fresh page in our Philosophy journals and made a T-chart, with one side for Needs and the other side for Wants. I asked students to think about items in their house one at a time, and decide which category to put each thing in. If thinking about the whole house is overwhelming, I asked them to just think about the items in their bedroom. They could draw or write the items. This activity provoked a rich discussion, probably the first one of the year in which every student participated. Many children spoke multiple times as they talked their way through their ideas on this subject. While they were writing their lists, I read to them some of Marietta McCarty's background information on Epicurus (bits and pieces from pages 63 to 65). Spiritual repose and contentment come from the satisfaction of basic needs. Acquisition of possessions is not the path to happiness. Mental fear is the worst pain and a result of the victory of complication over simplicity. Determining what is unnecessary in our lives and clearing it out soothes us mentally. I asked the children for their comments. They could choose to share what they wrote on their lists and where they put each item. Or, more generally, they could comment on Epicurus's main ideas that happiness comes from only having your basic needs met with absolutely nothing extra, that the more stuff you have the more it weighs on your mind and your heart, and that getting rid of those extra things lifts you up. One little boy was completely honest that he put everything in his house in the Needs list and that it was hard for him to be able to see the difference. "What he says is a little strange in a way. How are the kids going to have fun? It'll take all day for the kids to build the toys they want to play with." When I asked him if he had to spend all of his recess in my yard building the toys he wanted to play with, he paused. It was hard for him to reconcile the two facts, that he could play pefectly happily in my yard for an hour with no "stuff," but that he didn't want to put any of his toys at home into that Extras group, a category where Epicurus might take them away! Then all of a sudden, he declared that almost everything he had was a want and not a need. Note: This is where I make sure that kids know that I am NOT telling them to go home and get rid of everything they own. We are just thinking about Epicurus's idea and exploring it, seeing if we agree with it and if we do not. Some children had no problem. One of the oldest boys stated, "Fun is a want, not a need.... This person is talking about total simplicity." The children got into a short debate about whether electricity was a want or a need. One little girl bravely shared her Wants List with the class: pets, a unicorn, and a sleepover. Another object of debate: furniture. "You can live without it, but it makes your house feel more like a home," one child declared. I asked her about the life of a monk as an example of someone who tried to go completely without extravagances and only focus on the bare essentials. We even discussed saints like Simeon the Stylite. I shared another personal story, when I read a biography of Florence Nightingale as a child and learned that she used to sleep on her floor instead of on the bed and so I tried it... but my bedroom floor was bare concrete and it was really cold. I got up halfway through the night and got back in my bed. When I told my mother the next morning, she told me that you can get really sick from sleeping on a concrete floor! So it was good that I got back into bed. To my surprise, because I thought Becca would say that her experience living the daily schedule of a Benedictine monk was too difficult, her take on it was that "it was not simple... it had a whole schedule." She described her day as a monk in detail. But ultimately she said that "they didn't take it far enough." From there, several children shared their experiences with fasting during Ramadan. That was very interesting to the whole group. We ended with one final comment from a little boy who said, "I don't think school is a need because our great-ancestors lived by surviving in the wild." Hmmm. It's fascinating the things that they debated the most in the Want vs. Need department: electricity, chapstick and lotion, and then school itself. Zac is recovering from the flu and I'm (hopefully) making sure I don't get it by boosting my immune system, drinking fluids, and getting lots of rest. Today was a relaxing and easy day. We started our new Sunday afternoon routine, Handwork Hangouts, which is an open invitation window from 1 - 4:30 for my friends to come and bring their handwork projects and just work side by side on whatever they are doing. Kids who want to learn handwork can also come and I can teach them. Today's kid session consisted of reading Extra Yarn, learning finger knitting (Leah told us a story about the naughty sheep at her dad's house jumping repeatedly over the hog fence and escaping into the field of fresh green grass, which went perfectly with the finger knitting lesson), practicing finger string games from Finger Strings: A Book of Cat's Cradles and String Figures (Necklace Link on page 22 is a nice easy one to start), and doing paper weaving. This was with a seven year old. 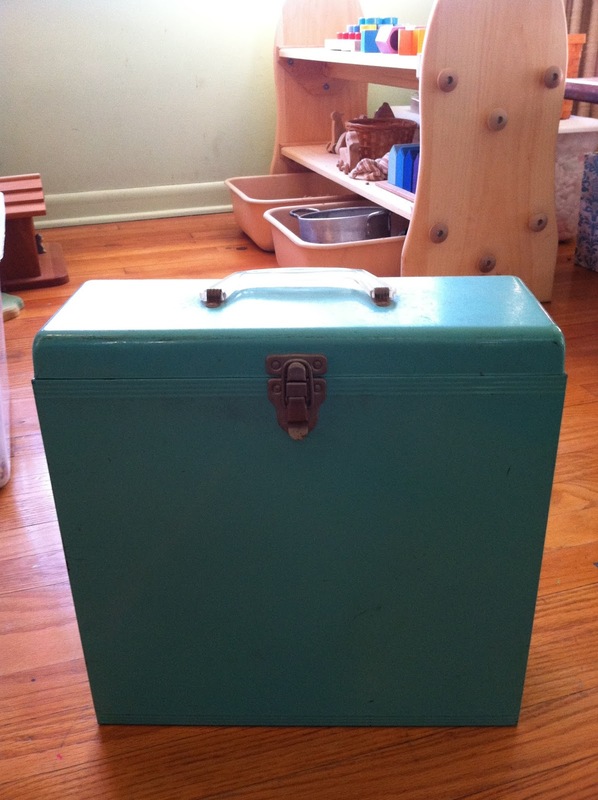 I keep my 12 x 12 cardstock and colored papers for paper weaving in a fabulous vintage turquoise metal record album carrying case, which works perfectly. It is easy for me to grab it when it's time for this craft. 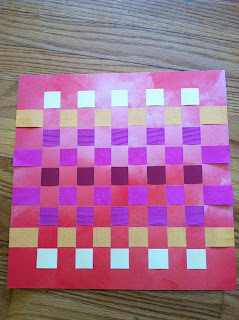 I use my Fiskars 15 Inch Portable Rotary Paper Trimmer to cut the paper. Another quiet activity slated for today is my online teacher training. The internet makes so much Waldorf information available; it's wonderful! Today I watched one of the sessions (Year 1, Session 2, "Peppermint and Daisy") of Learning the Language of Healing Plants, a course I'm taking from PAAM. There are only two live sessions remaining for Year 2 (Feb 1st and Mar 1st), but all of the old session recordings are available for viewing on Vimeo. We are working with Markus Sommer's book Healing Plants: Herbal Remedies from Traditional to Anthroposophical Medicine. I'm also working today on Suzanne Down's online course "Walkabout Tales: 10 Day Children’s Story Writing Challenge Course." Our group is on day 2 of this brand-new course. Upon completion I will be transferring both of these courses in as electives in my Waldorf teacher training through the Sophia Institute. It's incredible that you can get your Waldorf teacher training -- for Early Childhood or the Grades -- now completely online! Nowadays you can even get a full Eurythmy curriculum online with Cynthia Hoven! When I was a brand-new Waldorf mom back in 2005, none of these things were possible. 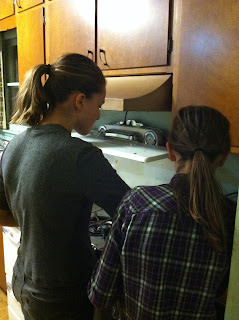 This is my science club for my oldest students... my own teenage daughters and one of their friends. We began by reviewing the fact that plants use the process of Photosynthesis to make their own food (sugar). We read all of "The History of Sugar" in David Mitchell's book (page 141), which explains how we get sugar from sugar cane and sugar beets. Then the girls shared with each other what they knew about tapping sugar maples to make maple syrup. 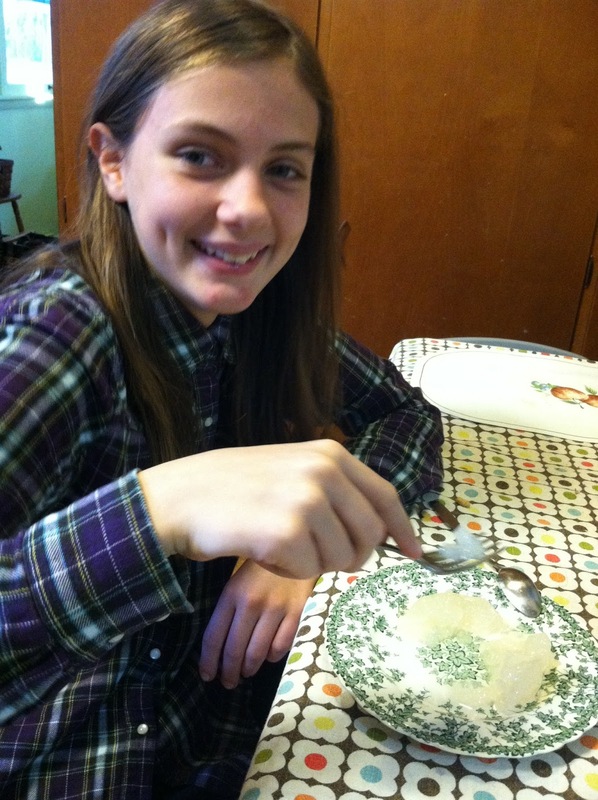 My daughters have had the finished homemade maple syrup from trees their father tapped, but were not there while it was being made; their friend went to a local Maple Syrup Festival and saw the taps and tasted the sap. 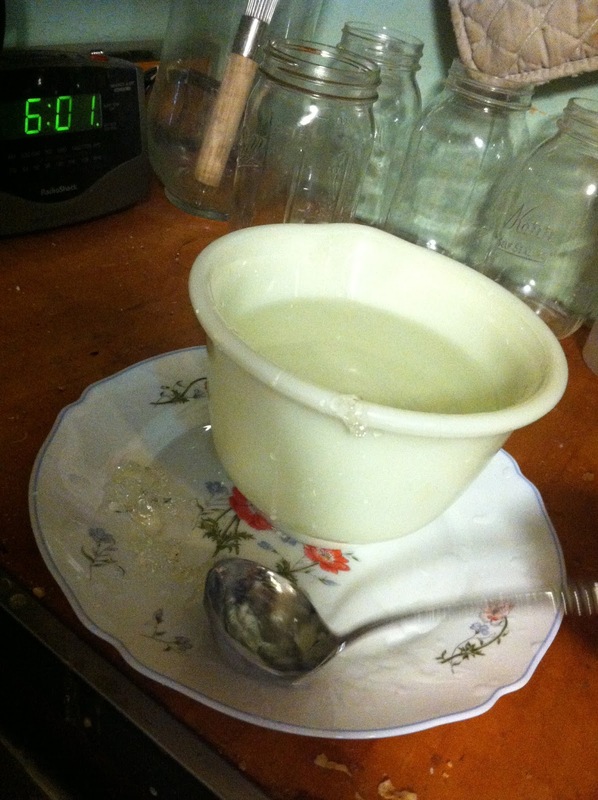 I passed around pure maple syrup as well as maple sugar for tasting. Sweet sap or Toddy is harvested from Palmyra palm trees and processed on the same day to yield country sugar or jaggery or palm sugar. This is used as a natural sweetener. The tree is common to India, Srilanka and south-east Asia. It grows in the wild from Persian gulf to Cambodia. The Asian Palmyra Palm (tnaôt) is the national tree and a heritage symbol of Cambodia. It grows Near the Angkor Wat Temple. Palmyra Palm is also common in Thailand, especially in the north-east or Isaan provinces. During the toddy season from January to June, the inflorescence of female palm trees (cluster of tiny immature fruits) is tapped and the sweet sap is collected every 24 hours. (If the inflorescence is left untouched, they will grow into clusters of palm fruits, the sweet pulp of which is also eaten. The male trees' inflorescence is not edible at any stage. But male trees are essential for pollination). 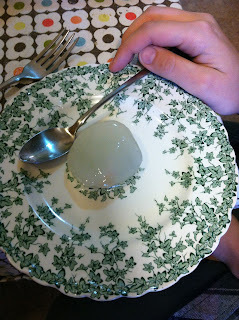 The sweet sap is also consumed as a natural sweet drink. If the harvesting pot's interior surface is not coated with lime, then an alcoholic drink (palm liquor that is sour in taste) results due to fermentation. The sweet sap is heated and the concentrate is poured into wooden cast and left to solidify into palm sugar blocks. The word 'Jaggery' is derived from Sugar. Jaggery is brown in colour. 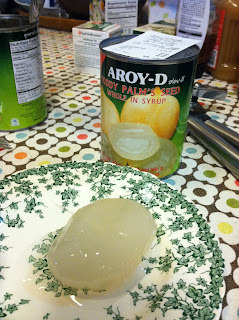 I found some canned toddy palm seed at the International Grocery Store so we tasted it. None of my students had ever had it before! We also tasted other natural sweeteners: date sugar, coconut nectar, and agave nectar. After our plethora of snacks, the girls relaxed while I read them "A Tight Squeeze" from What Einstein Told His Cook: Kitchen Science Explained. This book was recommended in the recent blog at The Parenting Passageway on Seventh and Eighth Grade Chemistry. Check it out. It's a GREAT post! I drew a diagram on the chalkboard of the latticework shape of water molecules, with the sugar molecules tucking into the empty space. Robert Wolke mentions candy making in his explanation, which was a perfect transition into our next activity. 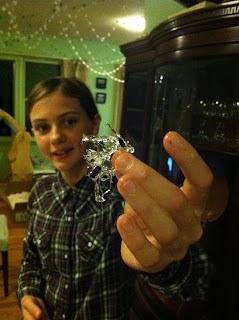 I explained the stages of candy making, using Leah's old MLB for Measurement and Baking. She made a beautiful chart listing the stages, percentage of sugar, and temperature of each. I got out my grandmother's vintage candy thermometer (the one remaining of the two she left when I inherited this kitchen) and showed it to the students and we compared its design alongside a meat thermometer. They drew the candy thermometer in their notes while I read them my blog posts describing -- in great detail -- the first (unsuccessful) time and the second (successful) time Leah and I tried to do this activity together. This helped them know exactly what to expect. Then, it was into the kitchen and time to get started! We didn't try a recipe today. This was simply so they could experience the stages, pouring a little bit of the sugar syrup into a mixing bowl full of cold water and ice and seeing how the results changed over time as the syrup passed through the stages. In our small saucepan -- starting with 1 cup sugar and 1/2 cup water -- it took from 5:22 pm to 5:57 pm to get to something really exciting (the "tink" of soft crack). 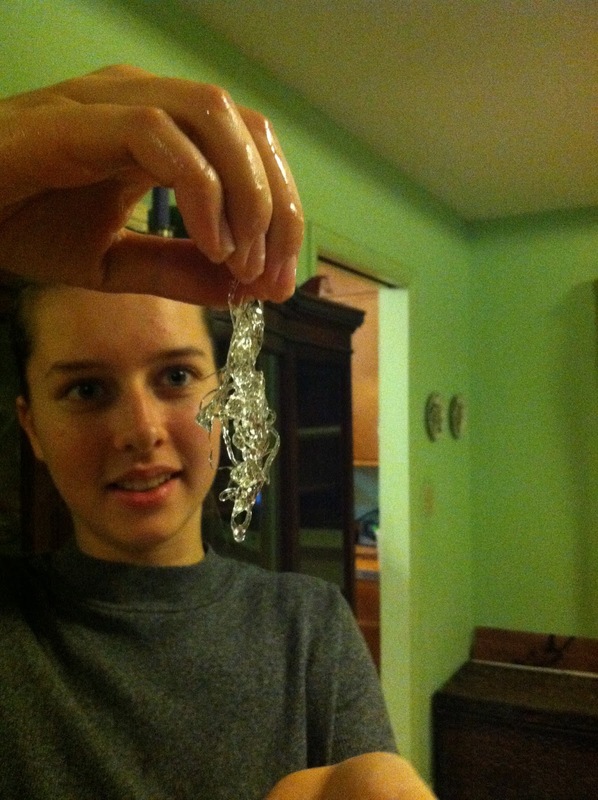 They loved how the sugar was forming beautiful sculputures in the cold water. They were to hard crack stage and done by 6:04 pm. P.S. Happily, in looking up the 2018 date for the Maple Syrup Festival, we learned that it is coming up soon! February 24-25, 2018 from 9 A.M.- 3 P.M. This morning we finished up our third book for the virtue of Forgiveness. I deliberately made the quality of Forgiveness in each book more subtle than the last and we had a very interesting discussion about this story, Leo Lionni's Cornelius. As soon as I brought the book out -- I always hold each book up and ask if anyone has ever read it before -- my daughters immediately started exclaiming how much they love Leo Lionni! So after we finished reading the story, I went ahead and got out all of the books that I had by Leo Lionni and made a display. It was more than I expected! Our morning routine is to begin the day with SSR until all of the students in the homeschool co-op have arrived. If we have a morning special at 9:15 (Philosophy, Yoga, SWI/Script) that happens next. Then we come together and start our morning meeting with our morning verse and our affirmation and story for the virtue of the week. The affirmation is not long. Here's an example: "I have Determination. When something is important, I will keep going until I have finished. I will get the help I need to do what matters. I will stay on purpose." The book we are using gives a thorough explanation of each virtue: what it is, why you should practice it, how you can practice it, and signs of success. In addition to reading part of this background information, I choose several picture books from my extensive collection and read one each day. The children then tell me where they see an example of the virtue in the story. I don't think I've posted these book lists in a while, so here they are. We started back into the school year with Enthusiasm for the first week of 2018. Students were very taken with the title character in Cynthia Rylant's The Old Woman Who Named Things. They paid close attention, even noticing that she doesn't have a name herself in the story. I love it when I am reading to a group and they're so quiet you could hear a pin drop. I would really like to write to Cynthia Rylant to ask her if the old woman is inspired by someone she knows personally. Our virtue for the week of January 8th was Faithfulness. Our virtue for the week of January 15th was Flexibility. And this week our virtue was Forgiveness.